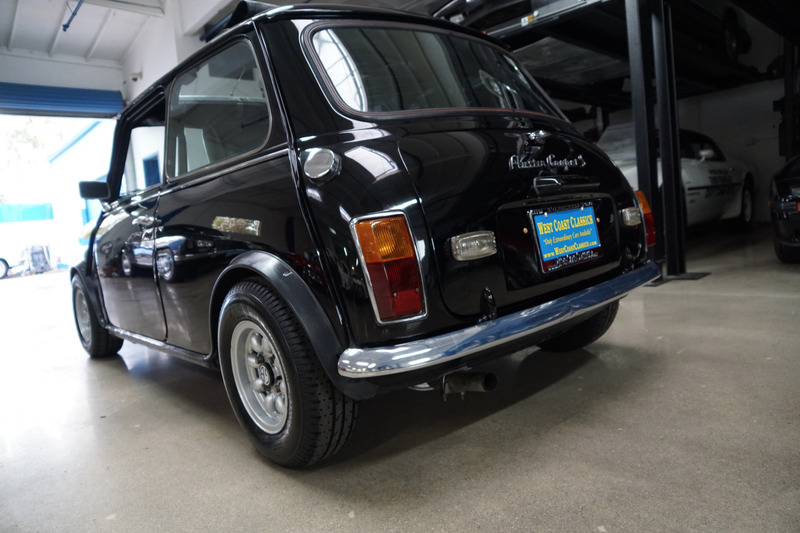 West Coast Classics are proud to present a rare opportunity to enjoy this wonderful daily driving example of this 1965 Mini Cooper Mark I 998cc 2 Door Hatchback and a long time California car still titled in its original 1984 California style 'Pink Slip' and a car reportedly purchased in the UK in the early 1970's by an American serviceman stationed in England which he had the car professionally converted from RHD to LHD by English mechanics prior to shipping it to California where it was sold in 1984 to is most recent owner who owned the car until our recent purchase of it. 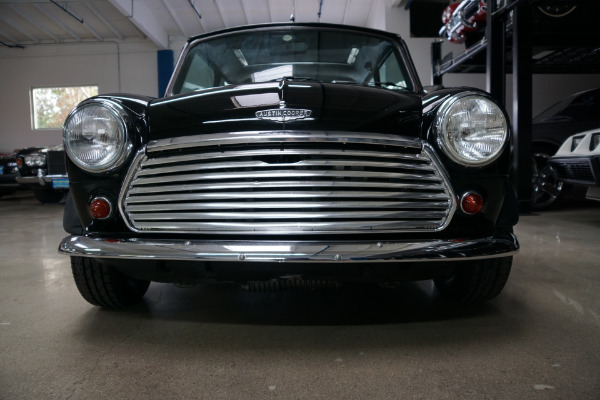 The BMC Mini was launched in 1959 and proved to be Britain's most influential car of the sixties and seventies, if not ever! 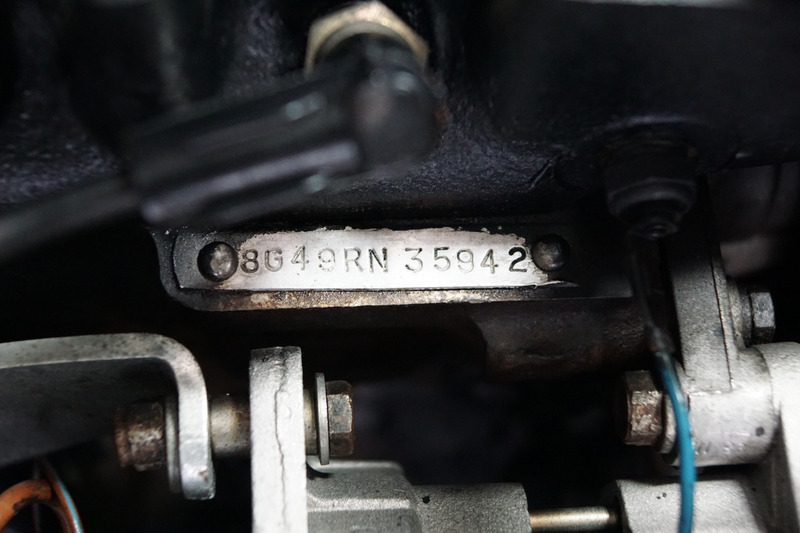 It defined a new genre. 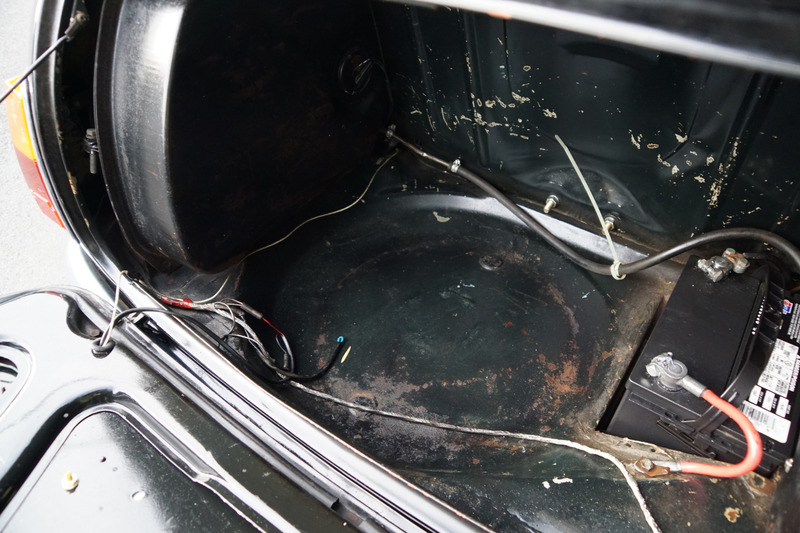 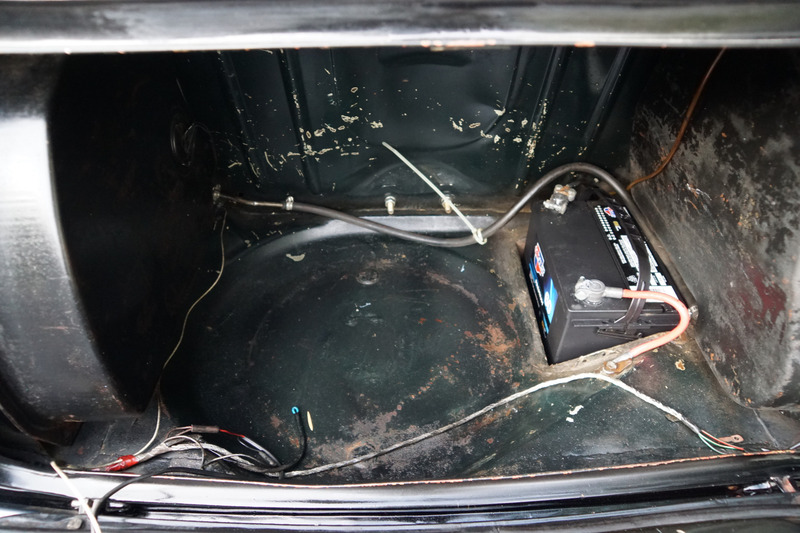 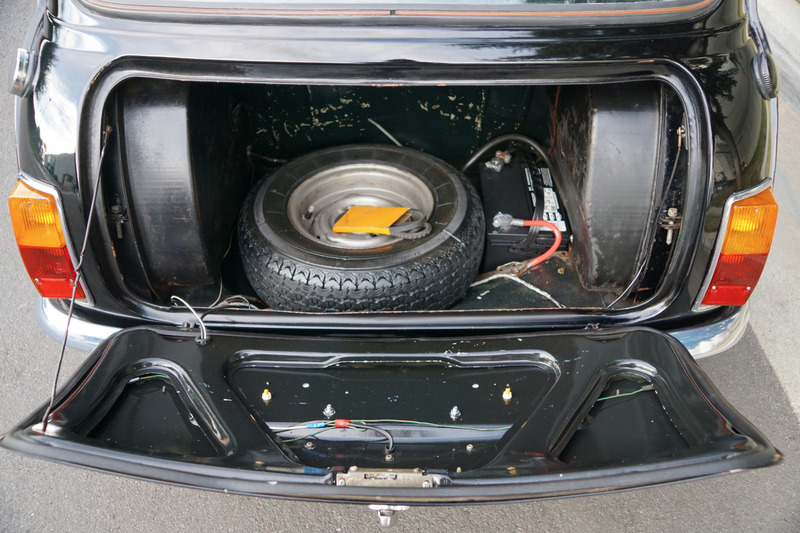 Other cars had used front wheel drive and transverse engines but none in such a small space! 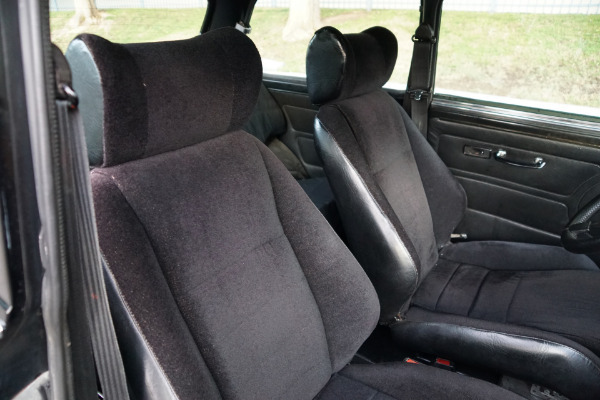 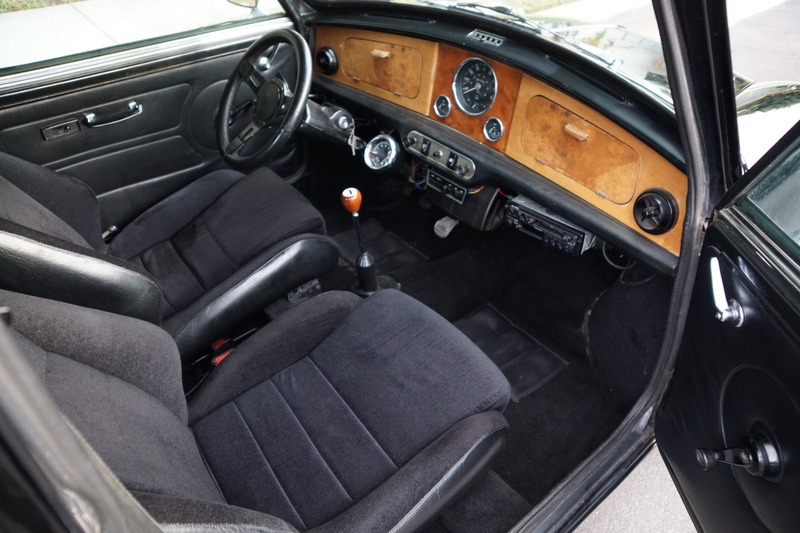 It was a marvel to behold both from its ingenious styling with staggering interior space in such a compact design but with handling better than almost any rival and indeed most sports cars of its era. 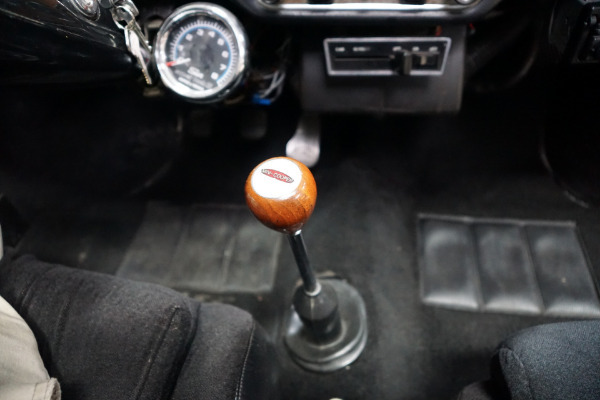 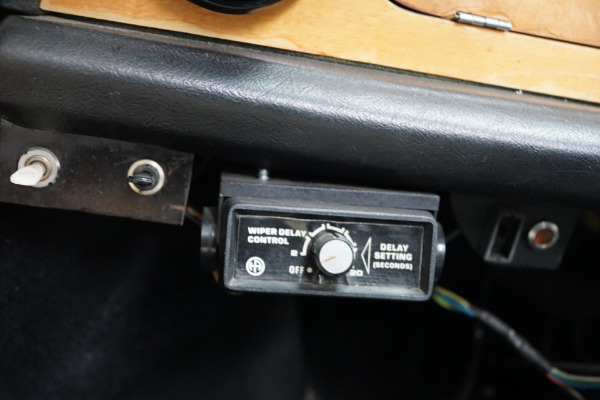 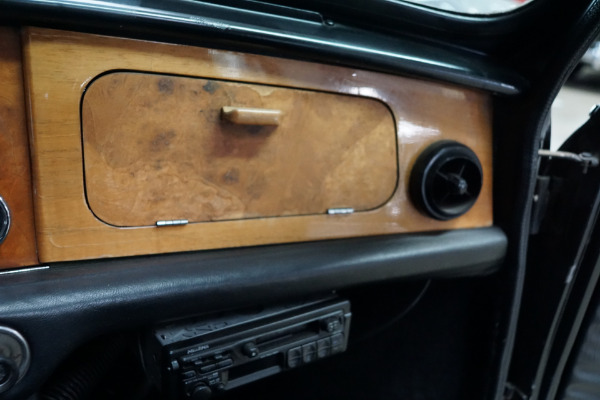 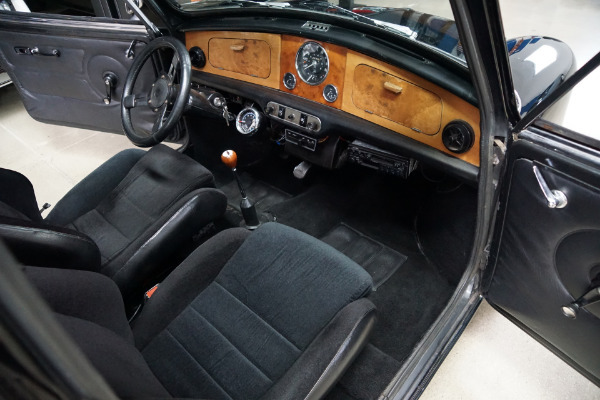 It quickly proved to be both fashionable to own with virtually all of the British sixties icons owning one and it would spurn a huge variety of Mini derivatives. 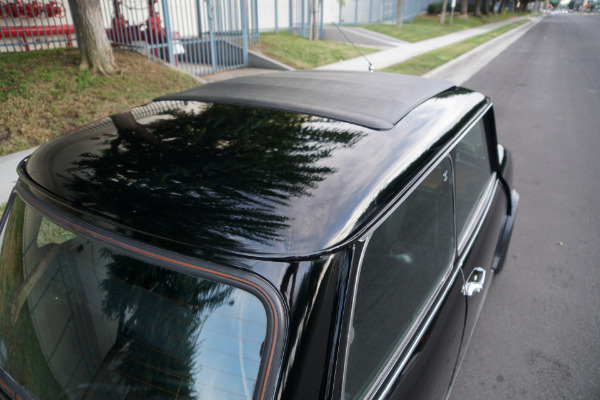 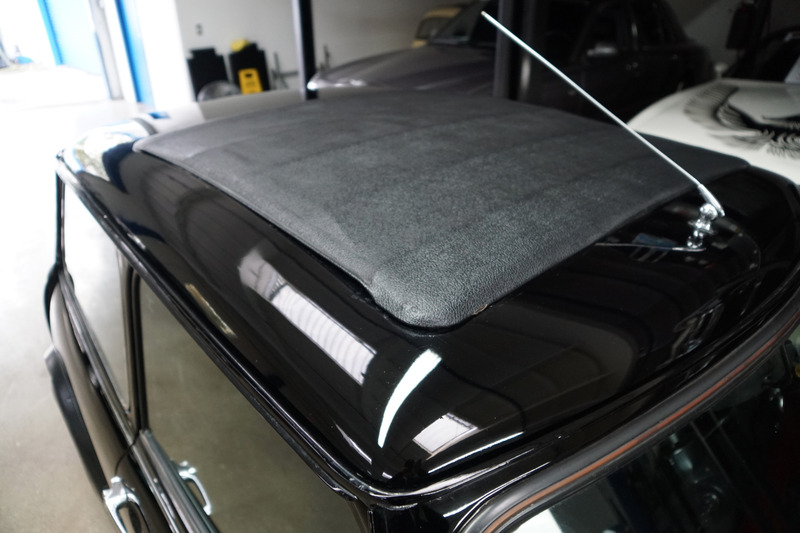 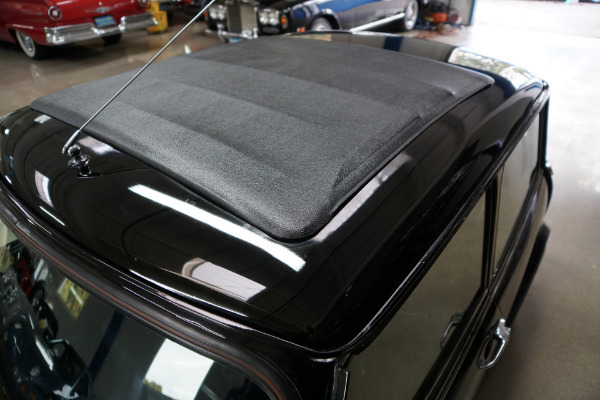 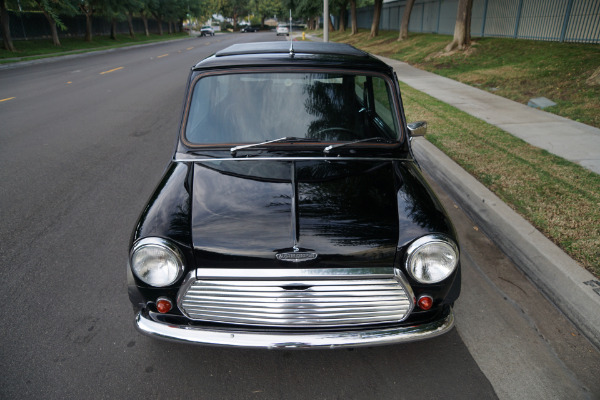 What sealed the Mini's reputation internationally and among enthusiasts however was the legendary Mini Cooper launched in 1961. 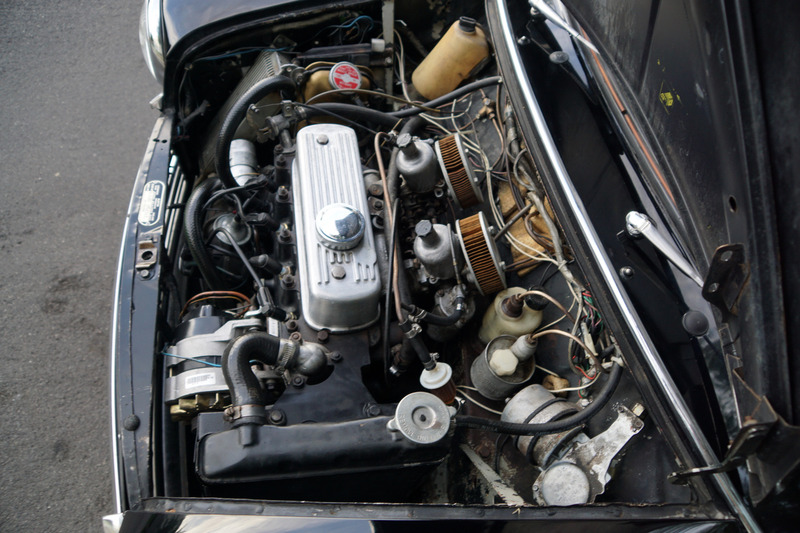 Grand Prix winning constructor/engineer and racing driver John Cooper persuaded BMC to begin extracting the most possible power out of the Mini's innate handling prowess by stroking the 848cc Mini engine to 997cc (later 998cc) and increasing power from 34bhp to 55bhp with 87mph now possible, fast enough to justify fitting tiny front disc brakes! 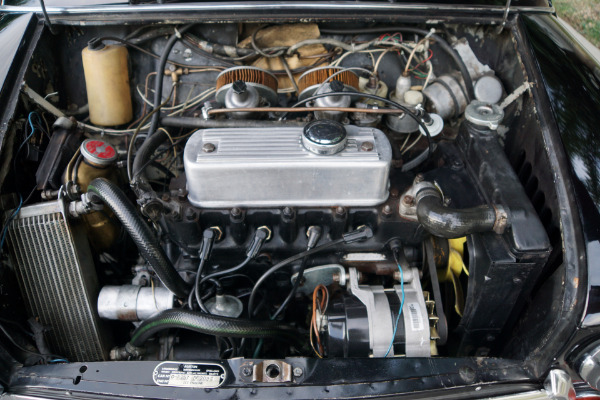 In 1963 there was an 'S' model with 970cc and 1071cc engines and eventually 1,275cc with twin SU carburetors fitted which boosted bhp to 76 capable of over 100mph. 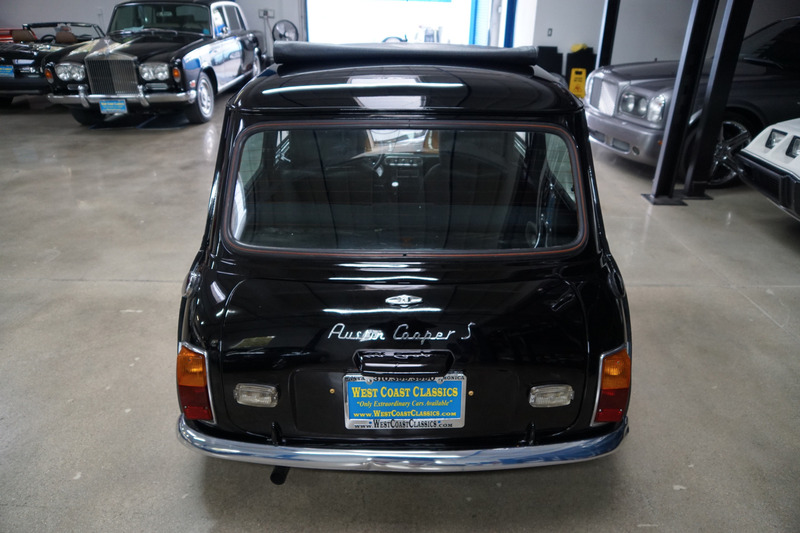 John Cooper would go on to receive a $4 royalty on every car sold. 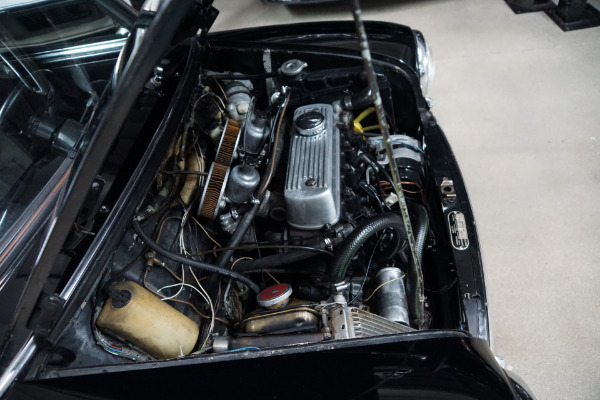 The 'S' became legendary after proving itself by conquering British saloon racing winning the 1962 Tulip Rallies, the 1963 Alpine Rally and then in the legendary Monte Carlo rally which it first won quite shockingly in 1964, despite being underpowered compared to some of the more exotic European competitors with the car's front wheel traction proving well suited for the icy conditions, even when driven to the absolute limit it would prove to still corner as if it were on rails long after the rear wheel drive cars were sliding sideways. It won Monte Carlo again in 1965 and it would have won in 1966 too, including both second and fourth positions, but officials shockingly disqualified the team over a headlight infringement and the French organizers controversially awarded the victory to Citroen! In 1967, this time with headlights inspected thoroughly before the start of the race, the Cooper 'S' won Monte Carlo again! 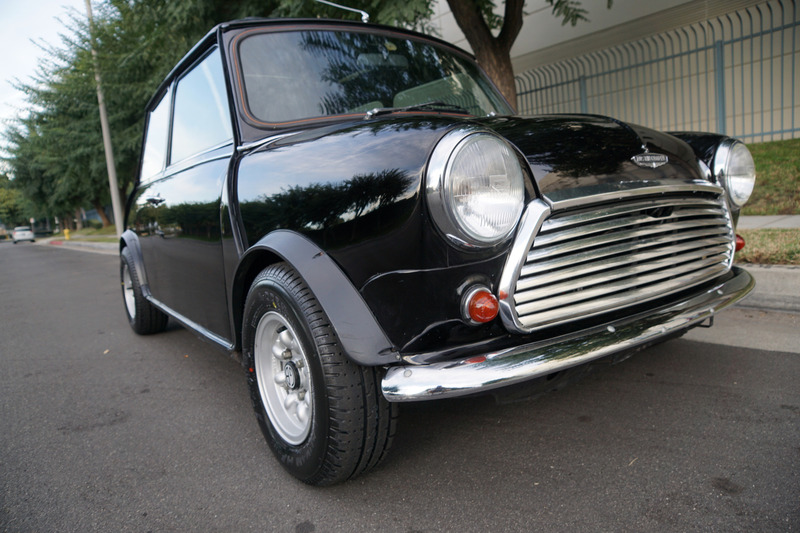 Sadly the Cooper 'S' was dropped in 1971 when BMC became part of British Leyland and the new company had it's own ideas of what a performance Mini would be and severed its links with John Cooper and 'Cooper Garages' to cut costs and replaced the car with the 1275GT model with a less powerful version of the 1275cc engine. 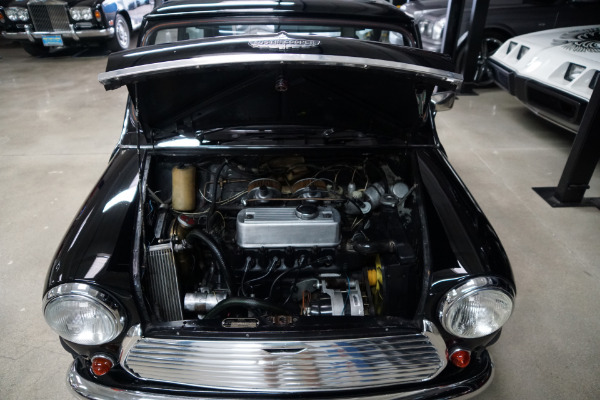 Almost 50 years later the Mini Cooper still boasts as passionate a following as it ever did in the 1960's and early 70's and was recently voted 'Car of the Century' by motoring pundits. 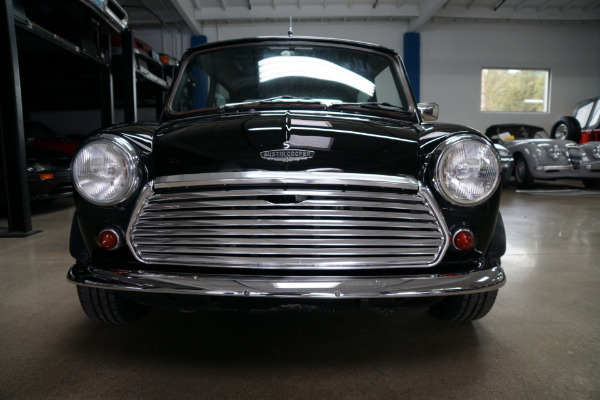 The Cooper had proved to provide cheap transportation whilst being both a technical and packaging triumph as well as a dominant rally car and as such was Britian's best selling car ever, a runaway sales success. 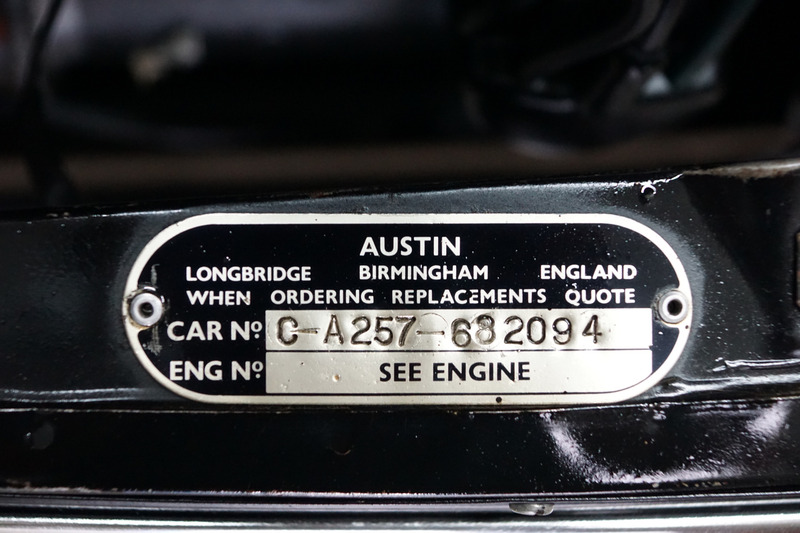 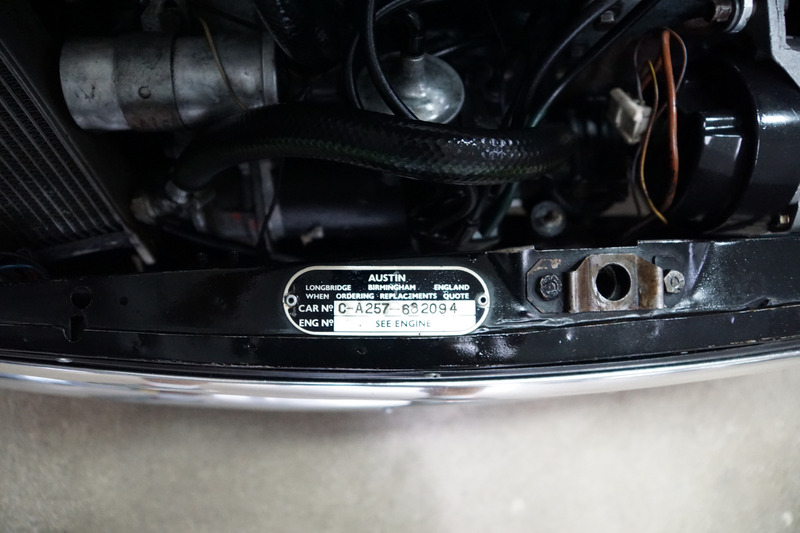 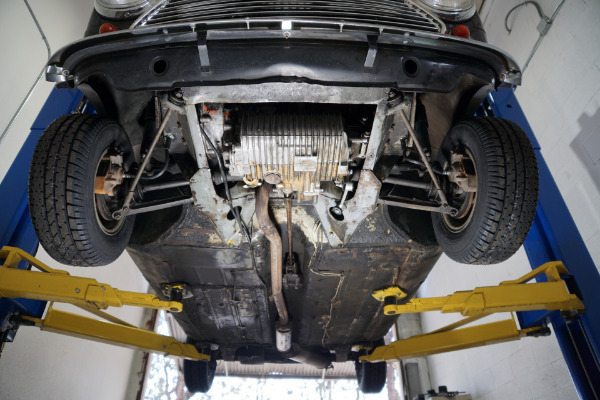 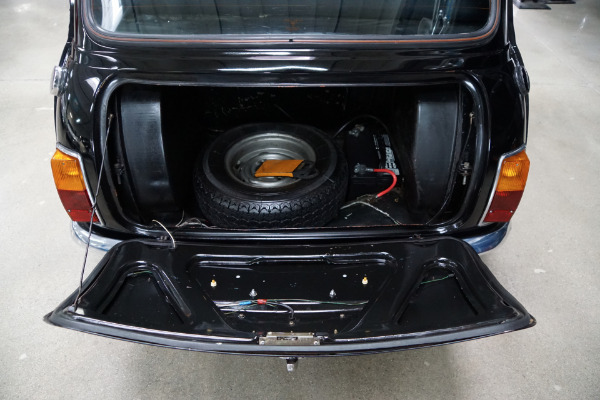 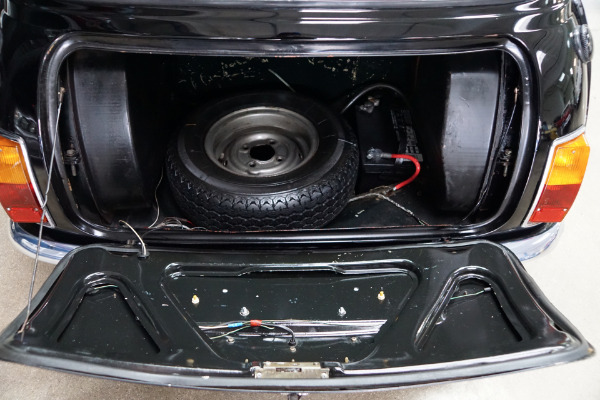 This particular example was born as a 1965 Austin Mini Cooper Mark I 998cc RHD model with a date of build of 4th January 1965 with a fresh air heater, front disc brakes and twin SU carbs! 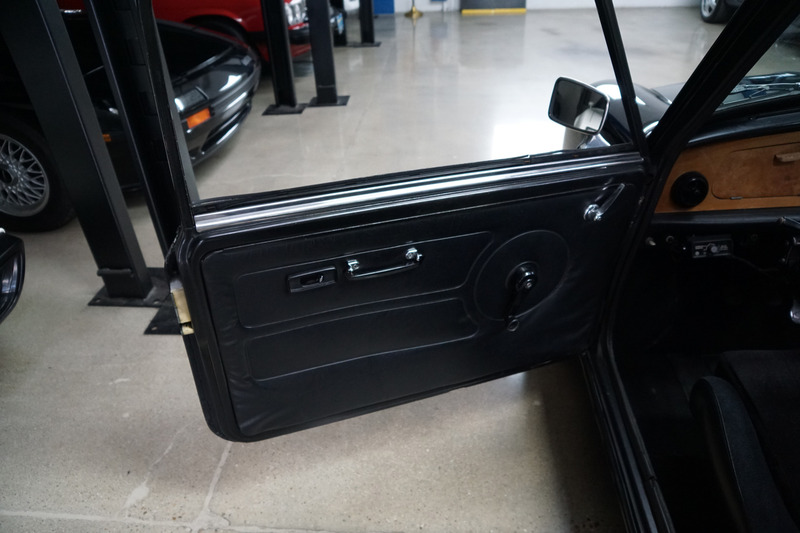 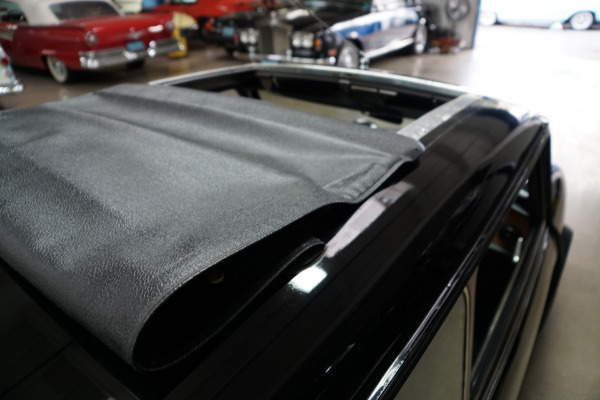 It has no signs of any major body damage or rust and was restored a few years ago in 'Black' with a matching all 'Black' cloth interior. 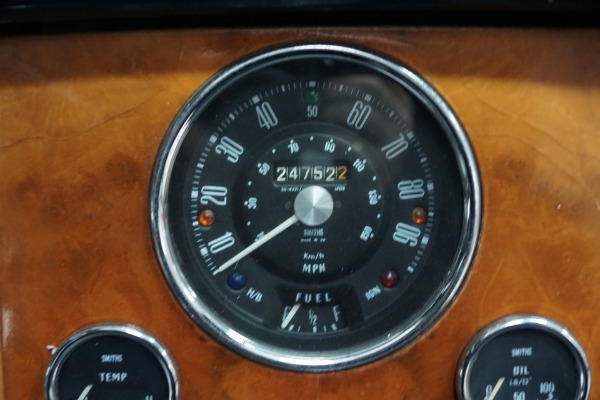 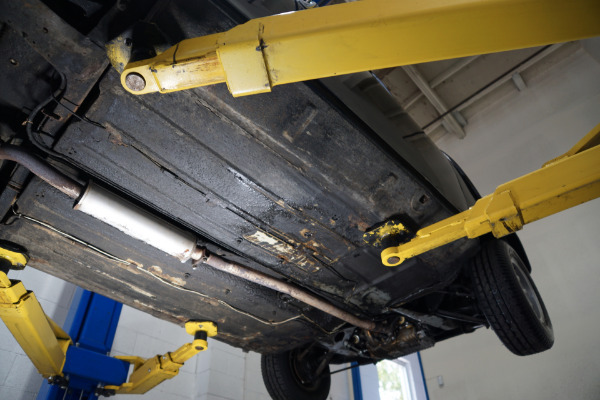 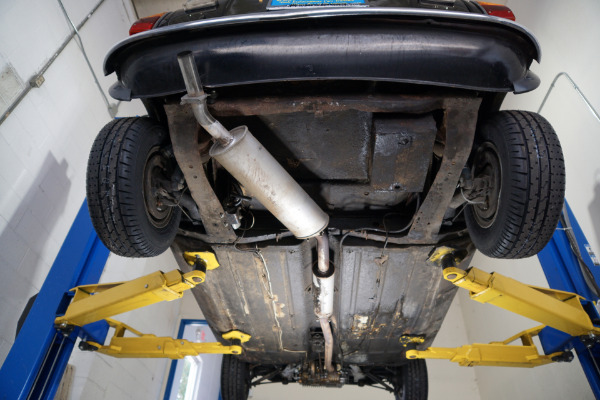 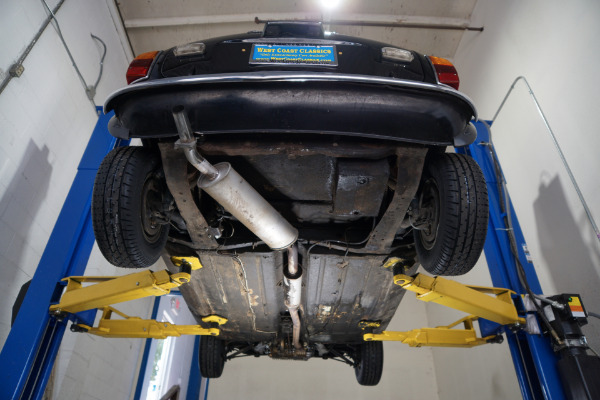 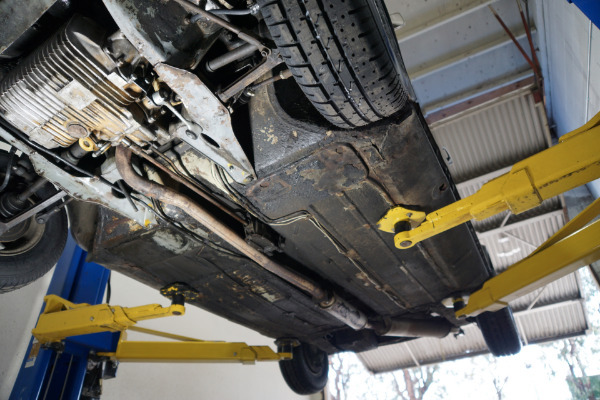 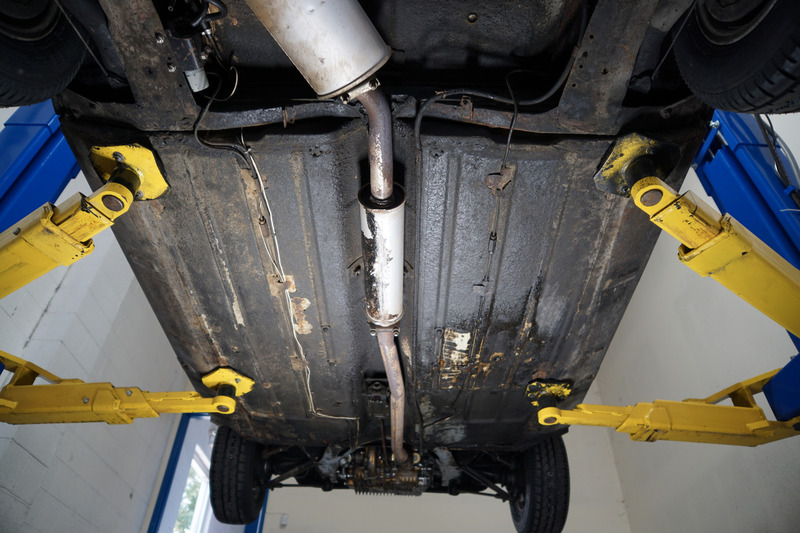 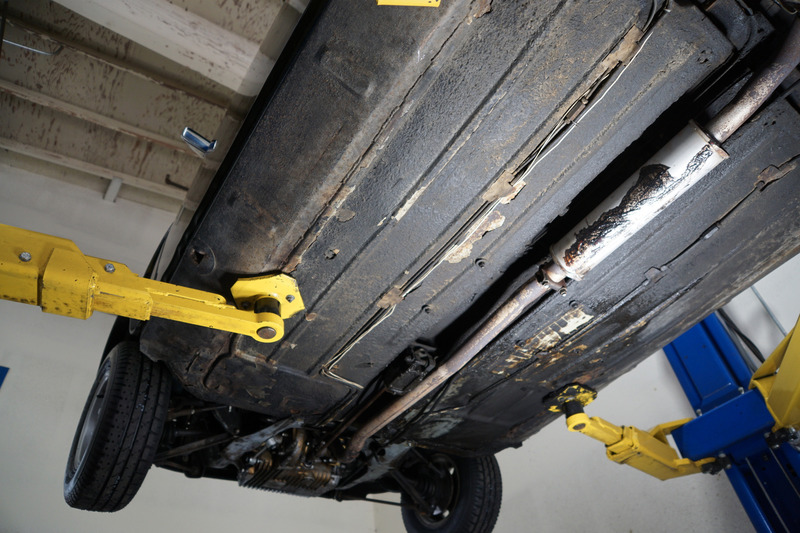 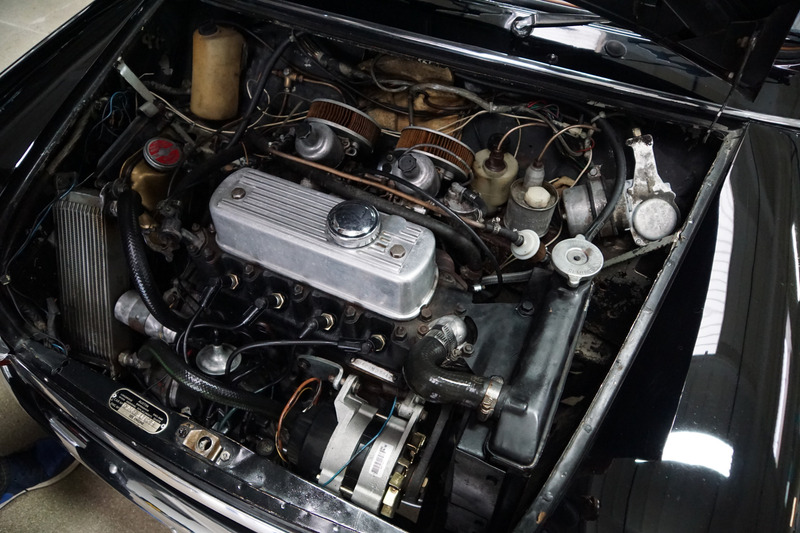 The car is in great daily driving condition with the engine, clutch, transmission, suspension and braking system all performing well and with recent new oil seals and gaskets and new front brake lines and calipers and new axle seals. The engine is very strong and the 4 speed manual transmission shifts smoothly through all the gears. 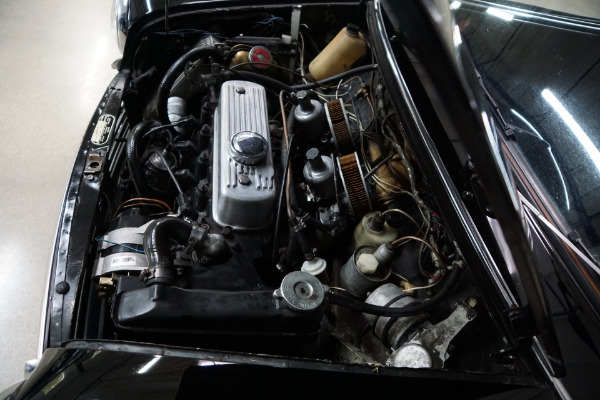 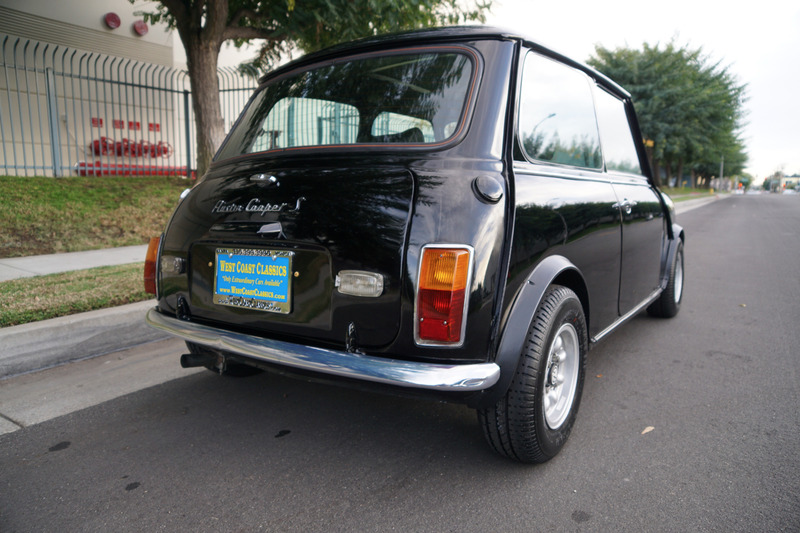 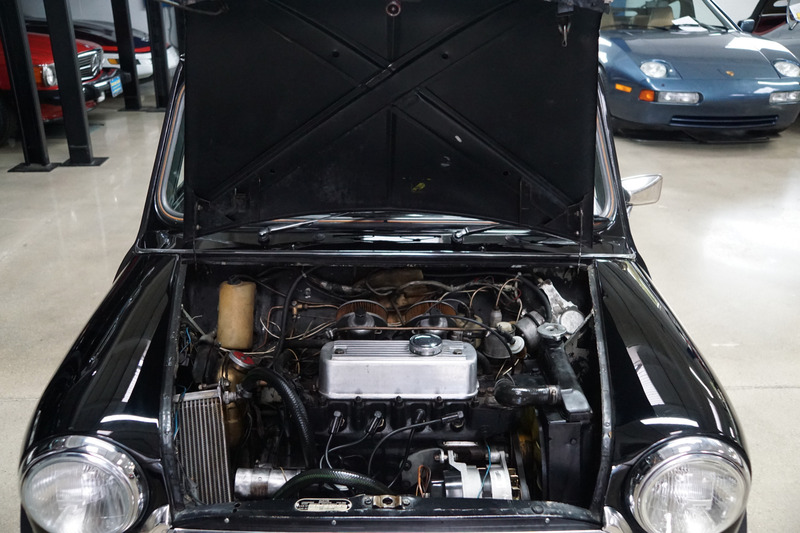 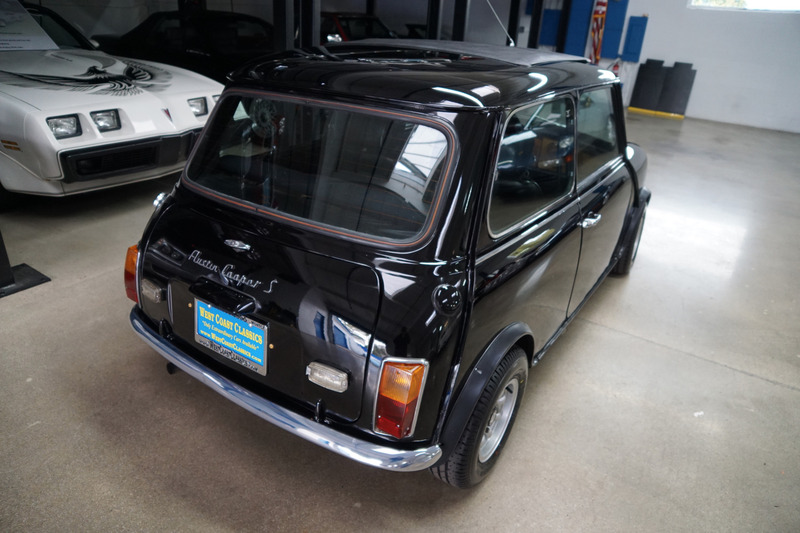 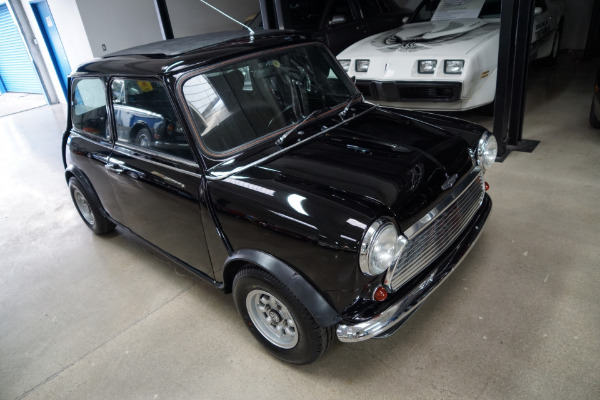 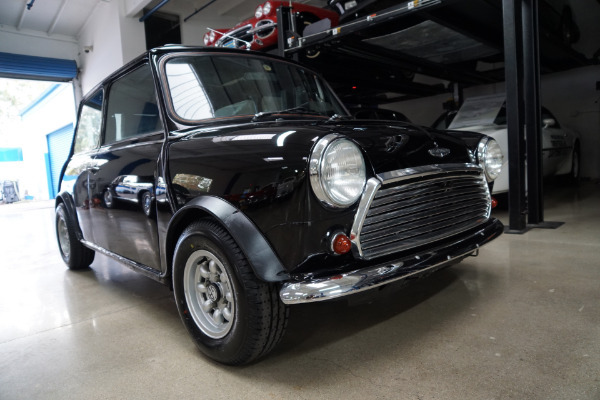 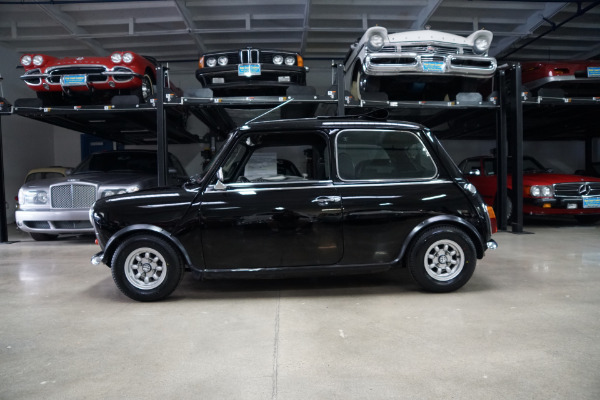 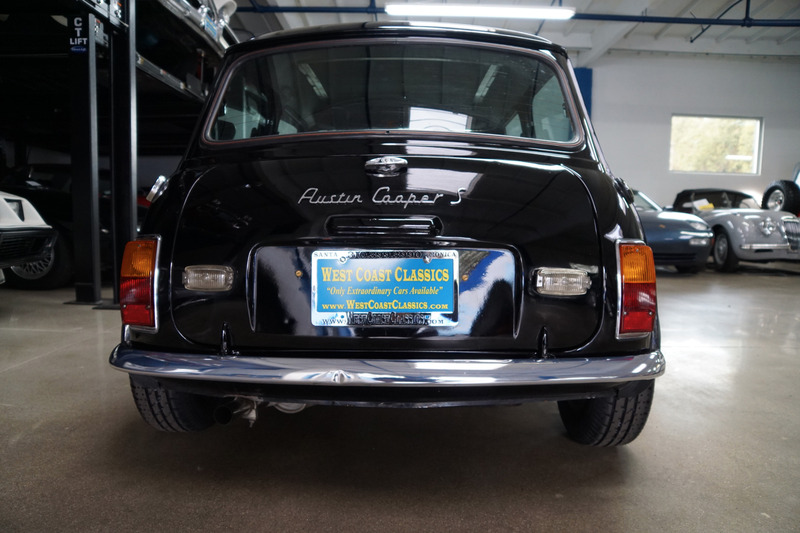 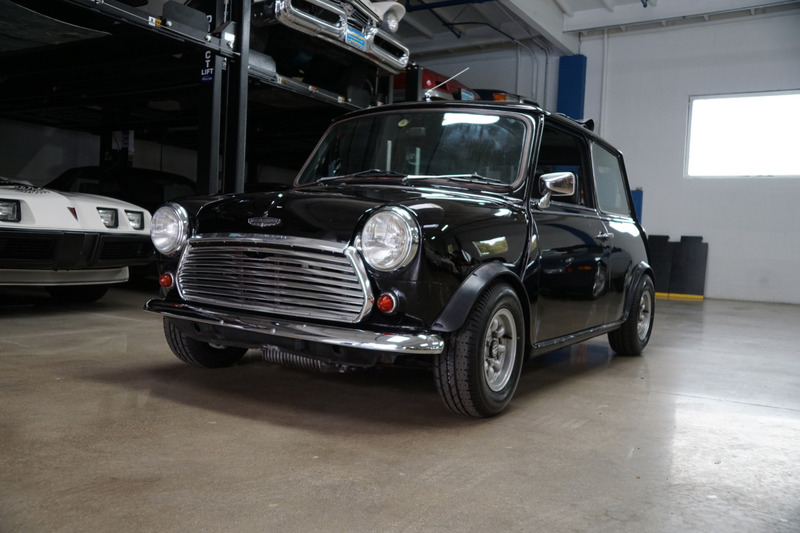 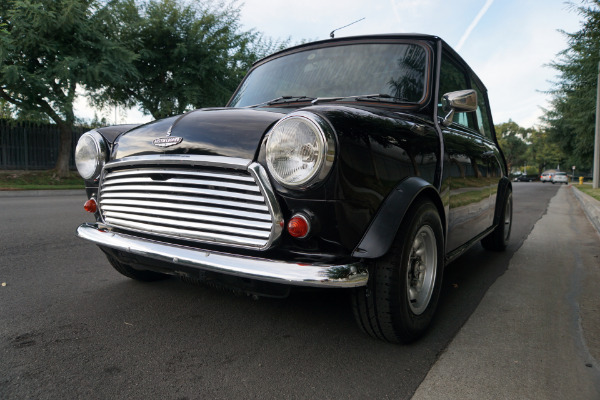 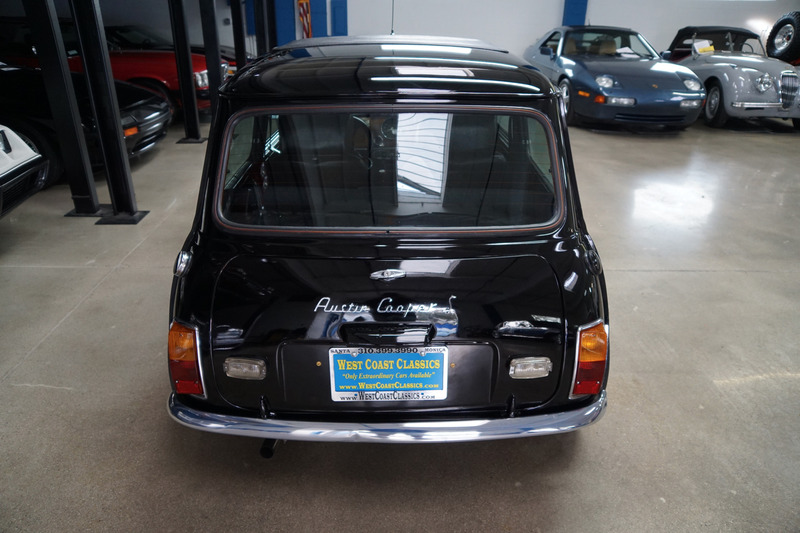 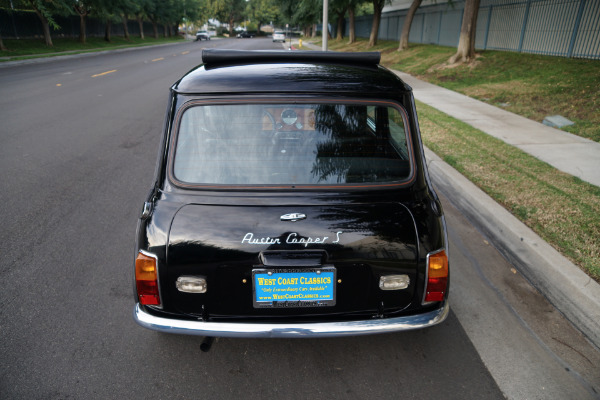 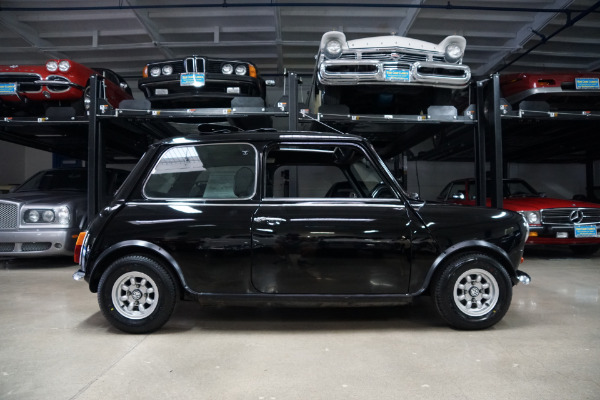 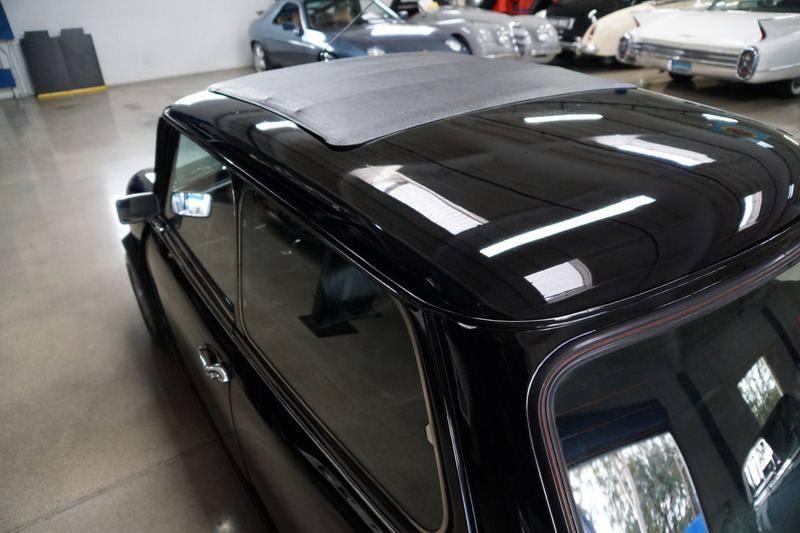 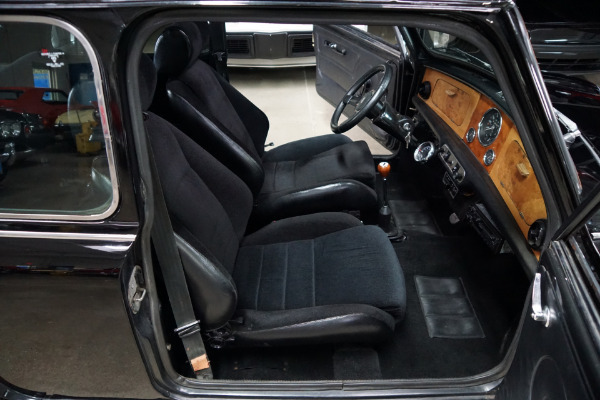 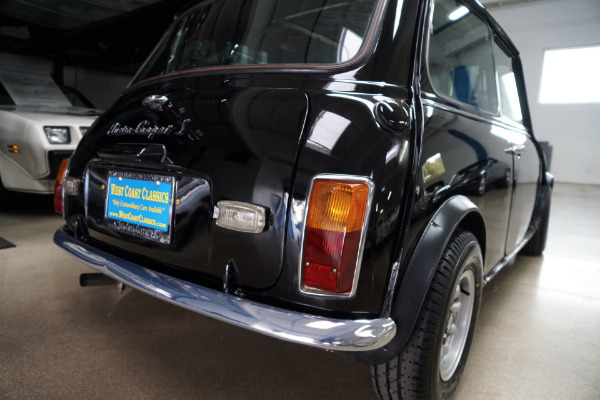 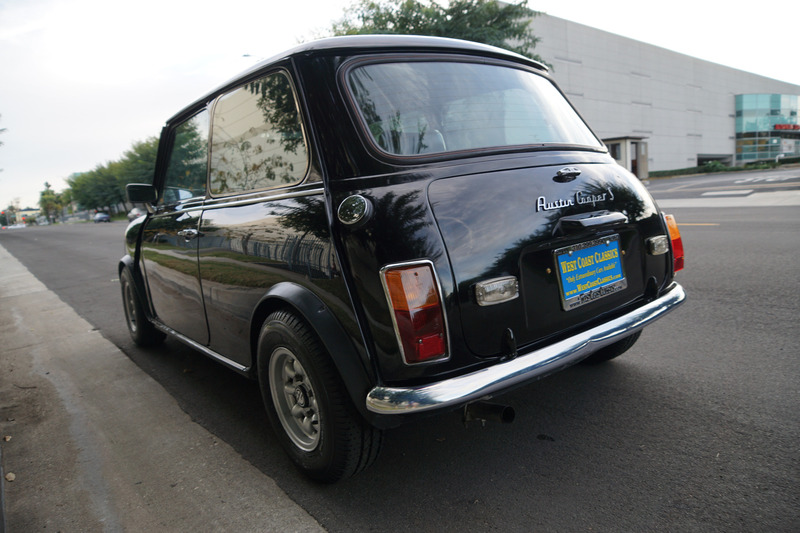 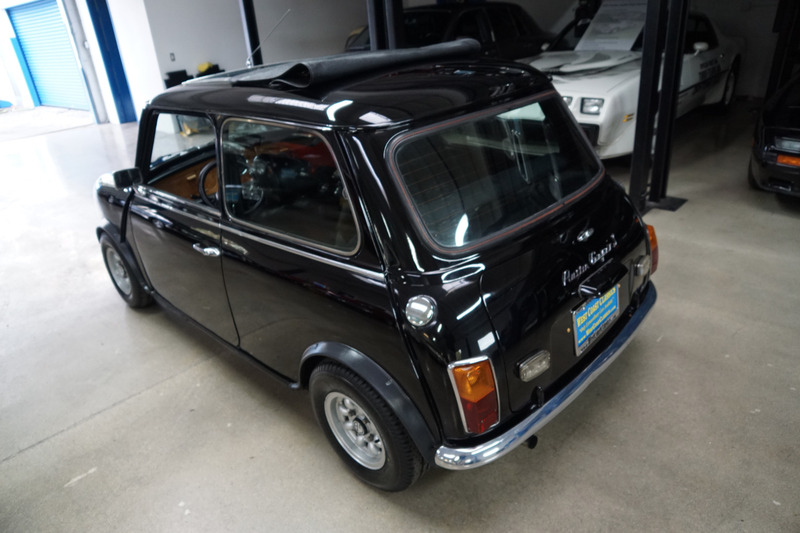 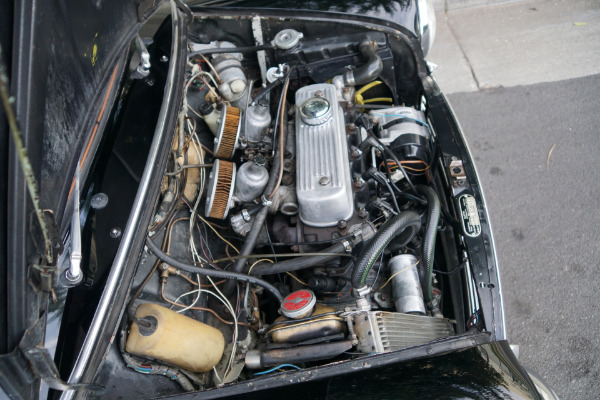 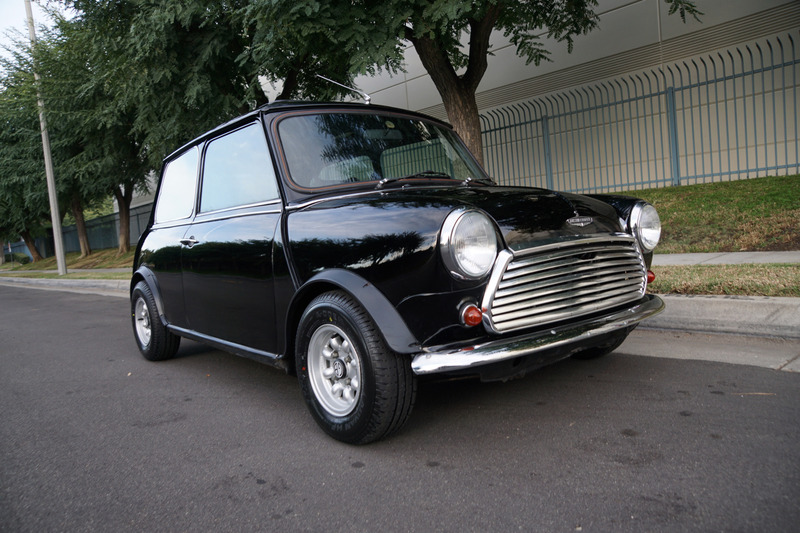 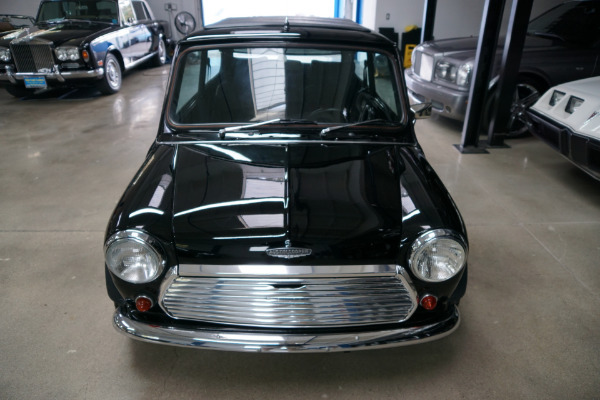 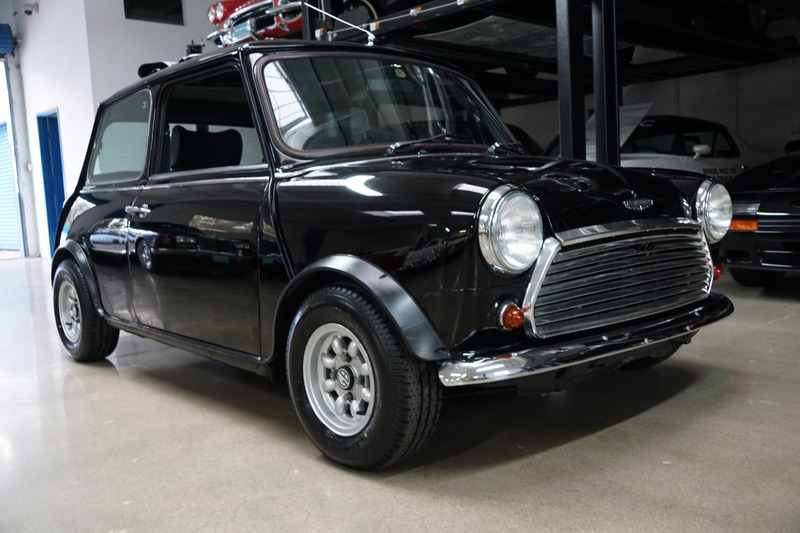 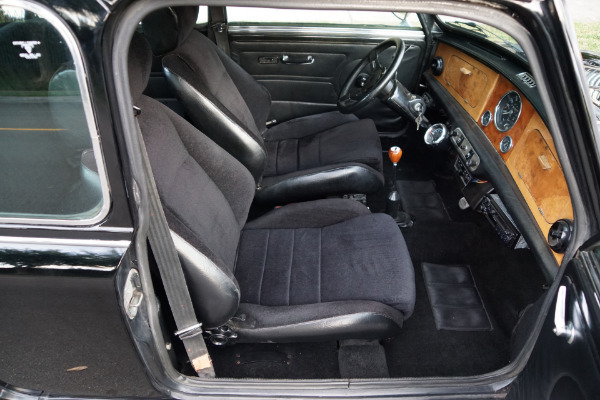 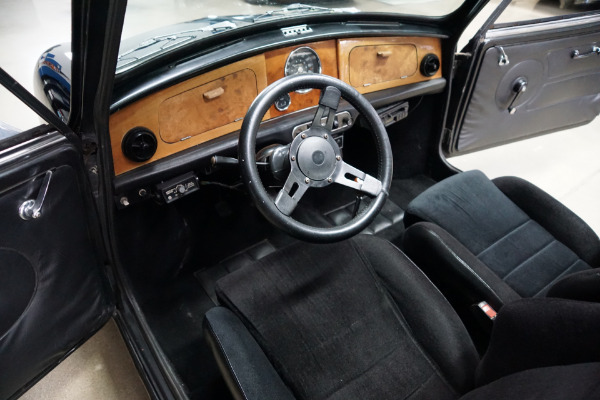 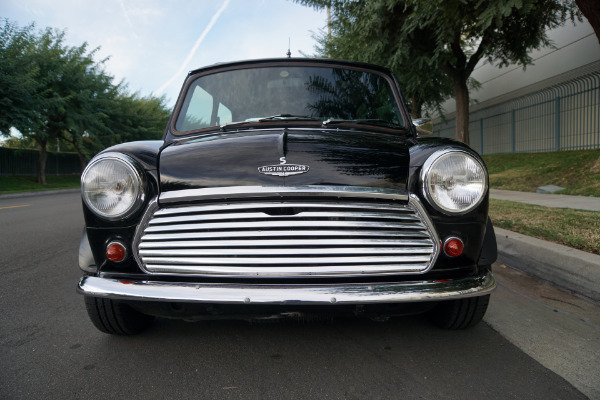 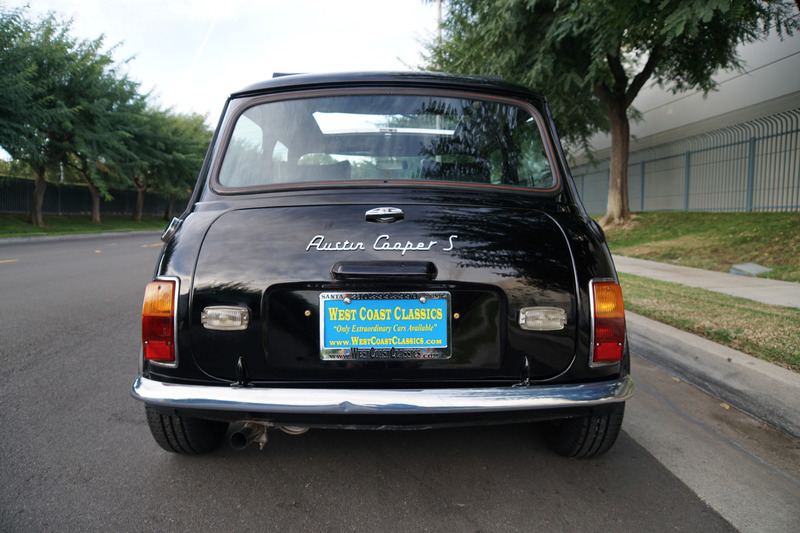 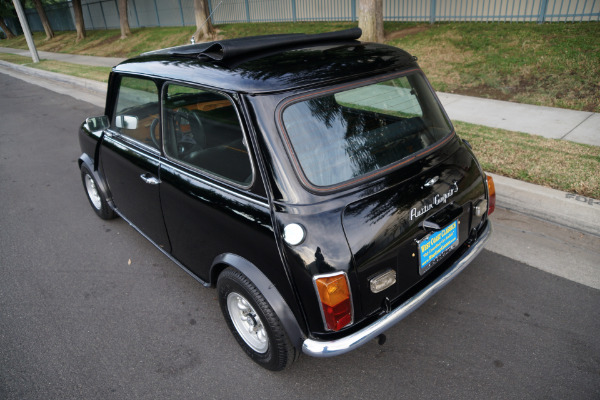 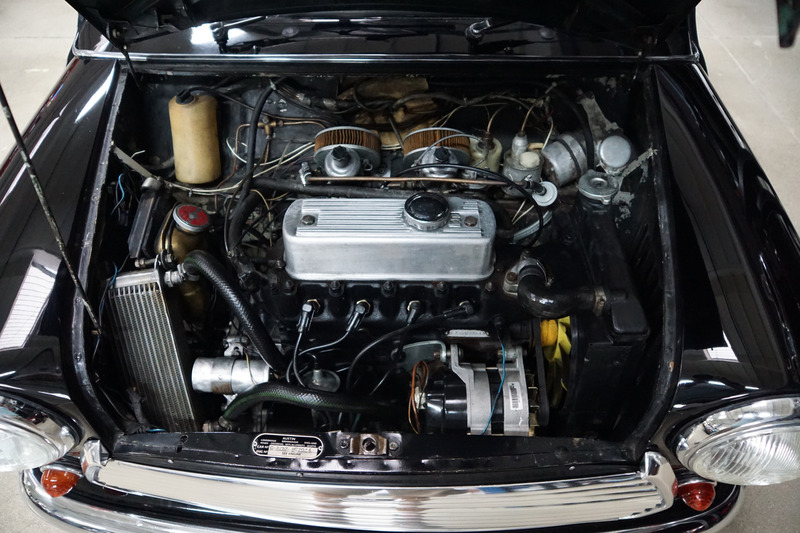 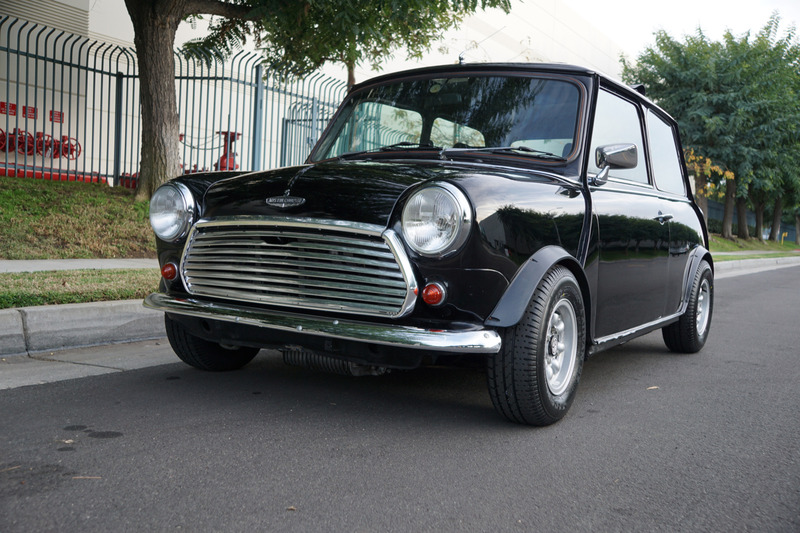 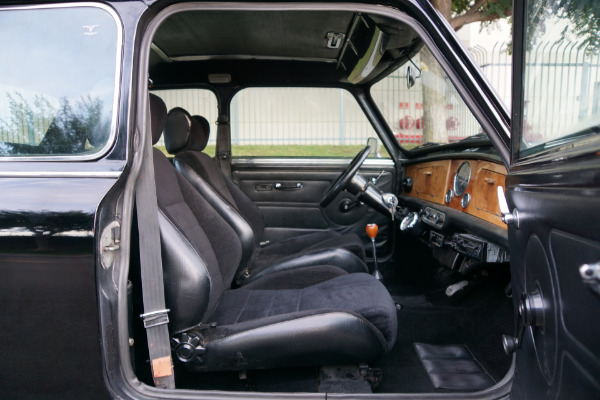 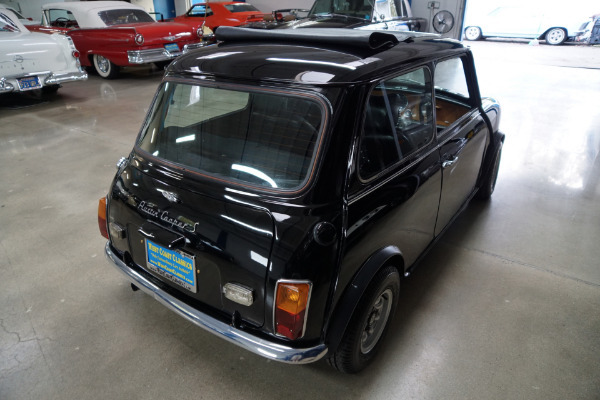 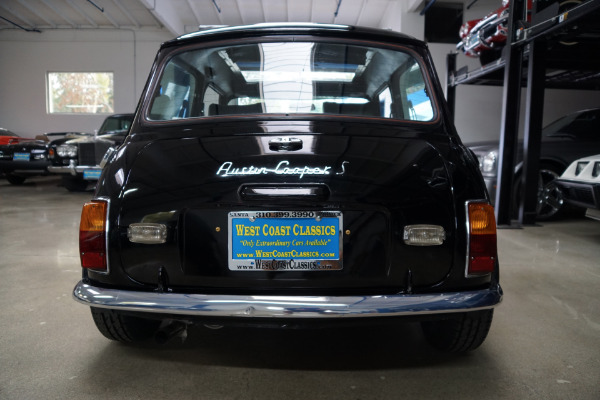 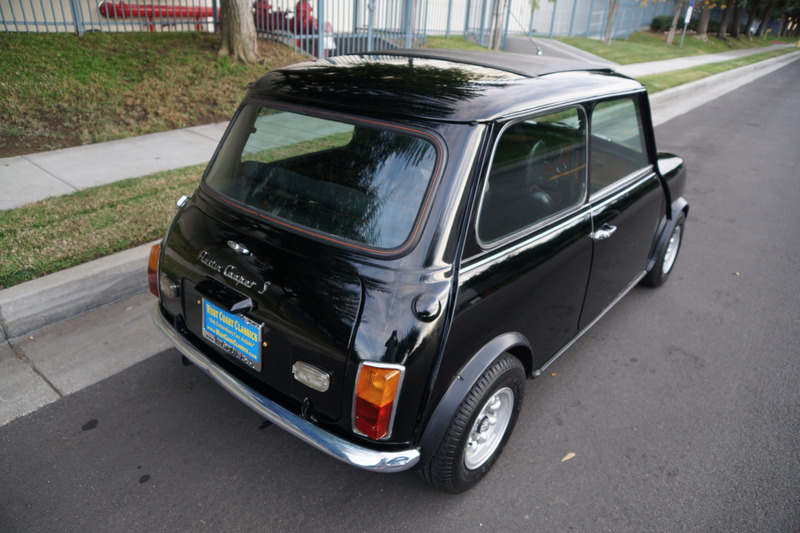 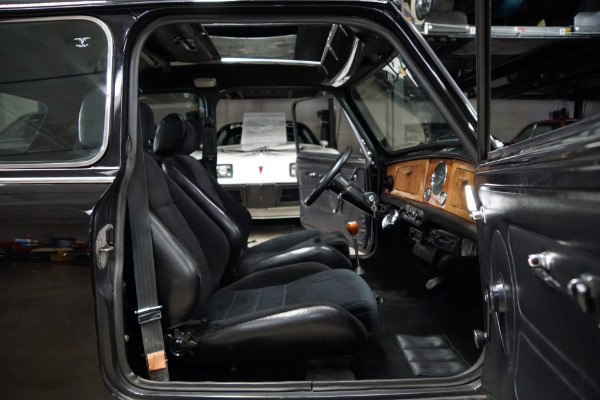 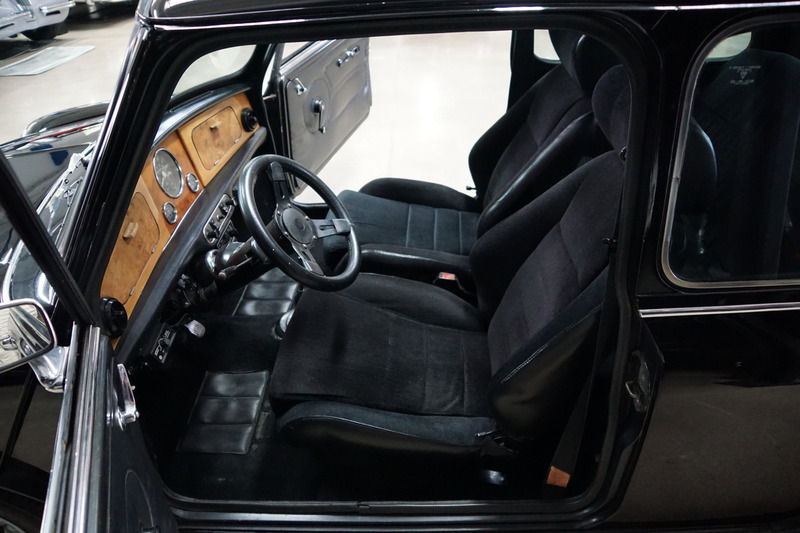 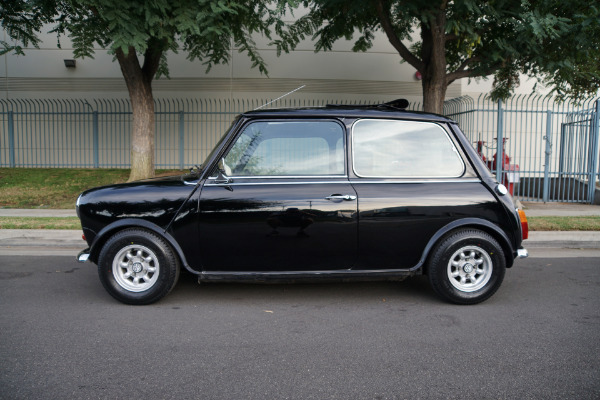 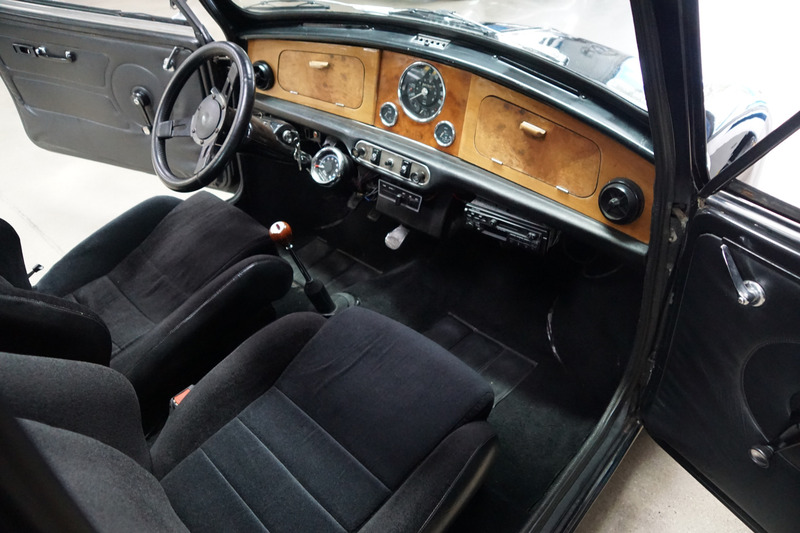 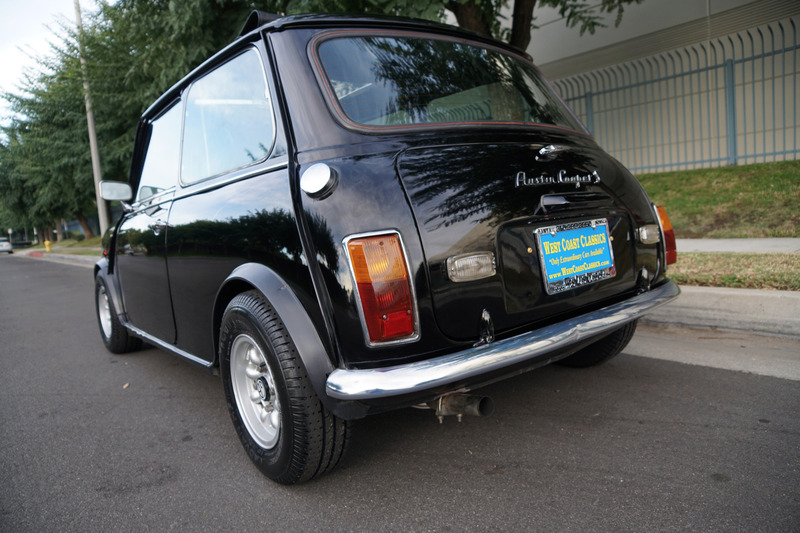 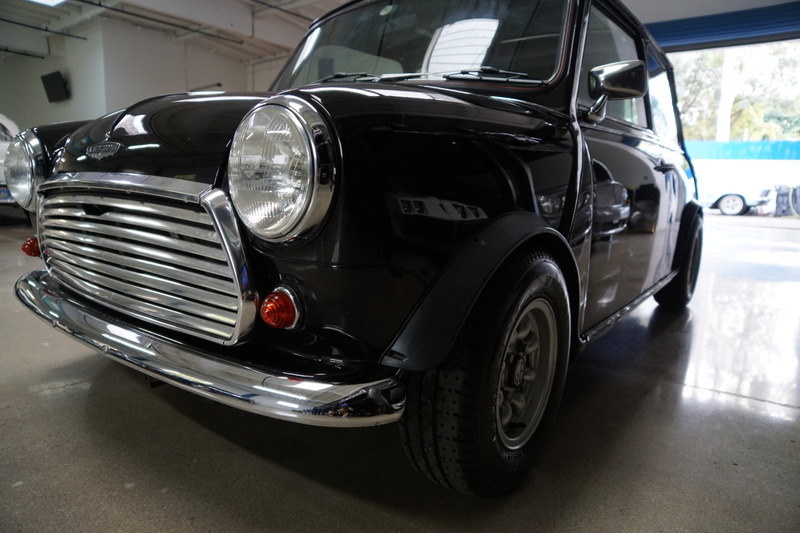 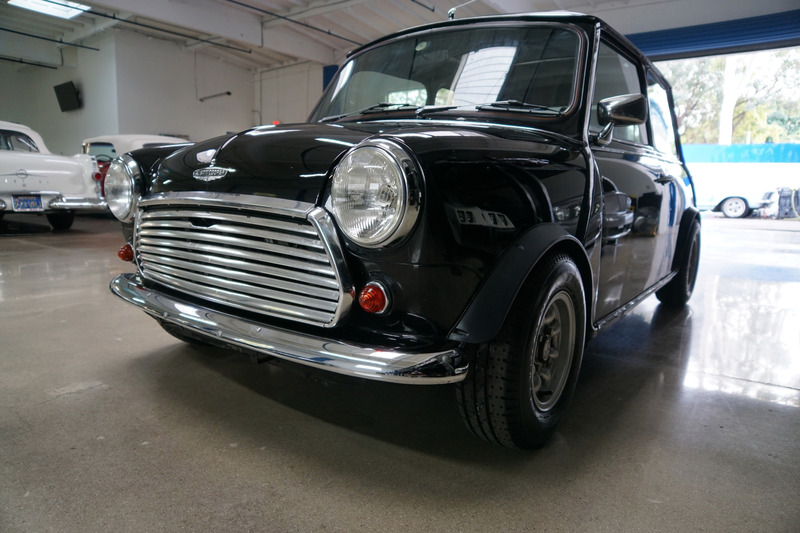 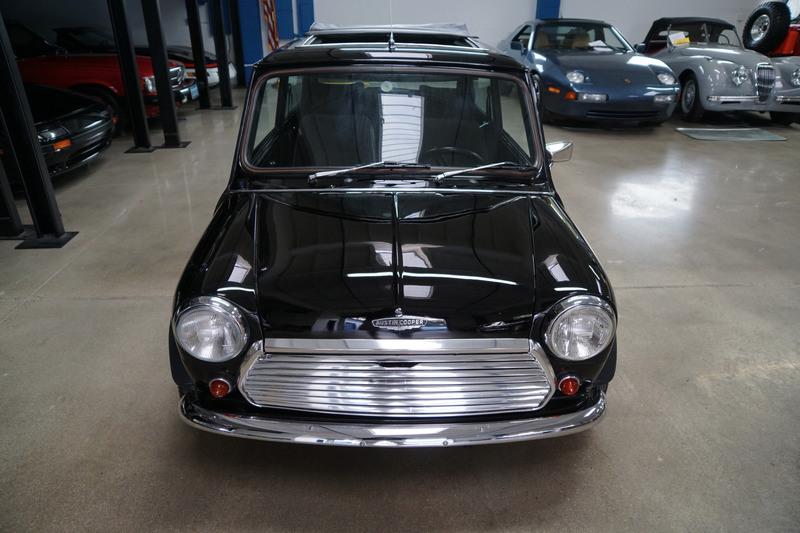 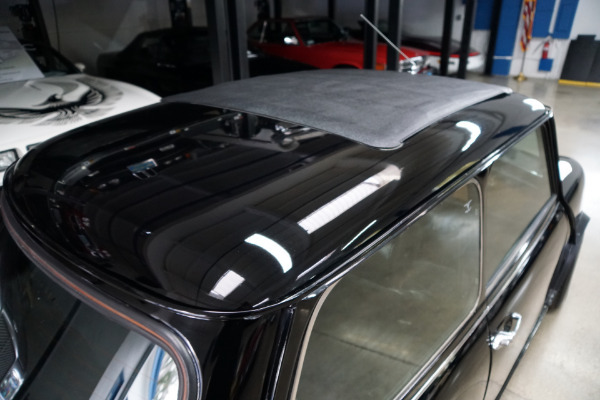 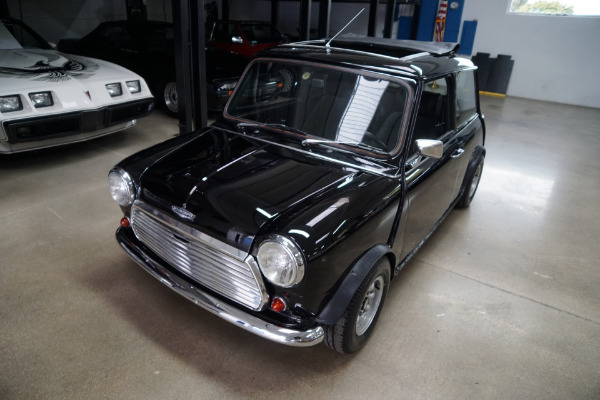 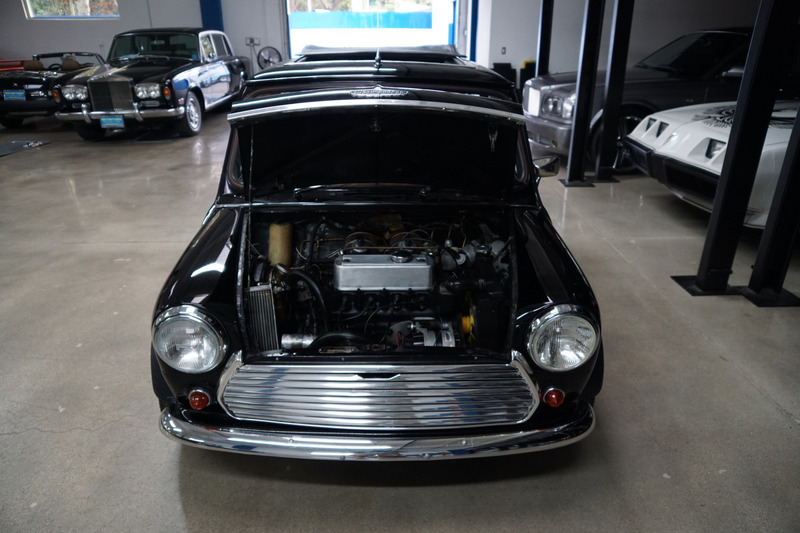 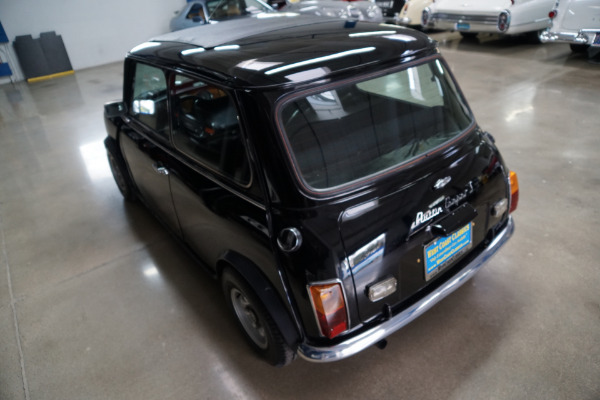 As stated earlier, the 998 cc engine with twin SU carbs is extremely strong and powerful and sounds absolutely magnificent - this is a rare opportunity to own a great daily driving long time California owned and garaged 1965 Mini Cooper Mark I.